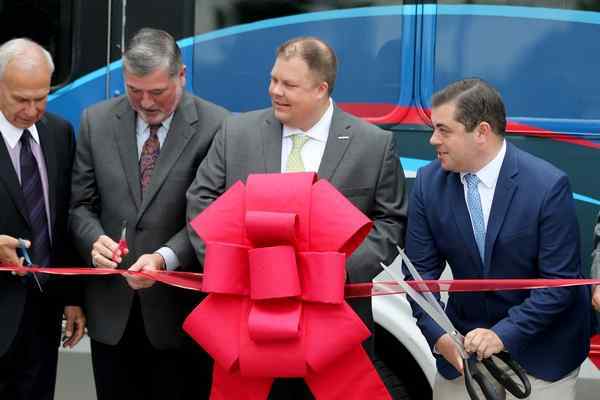 A group of Northeast Ohio lawmakers and community leaders joined Lakeland Community College and Laketran officials Sept. 6 for a presentation officially launching the county transit system’s first new route in 15 years. Route 7, dubbed the Campus Loop, is the latest collaboration between Lakeland and Laketran and is intended to make commuting a safer proposition between Lakeland’s main campus, 7700 Clocktower Drive in Kirtland, and the Holden University Center across state Route 306, according to Laketran Board President Brian Falkowski. While the college has operated its own shuttle service for years, Lakeland President Morris W. Beverage, Jr. on Sept. 6 said it was time to leave the driving to Laketran. Both Beverage and Falkowski also took the opportunity at the event to share news about another collaboration the pair is eyeing in the near future: a multi-modal transfer center on campus. Beverage elaborated on Sept. 6. Laketran CEO Ben Capelle agreed the two organizations have enjoyed a positive, productive partnership over the years. He added that, in seeing it through to completion, the college personnel involved with its implementation were essential, helpful and it couldn’t have been done without them. In attendance for the presentation Sept. 6 were a number of state and area elected officials. 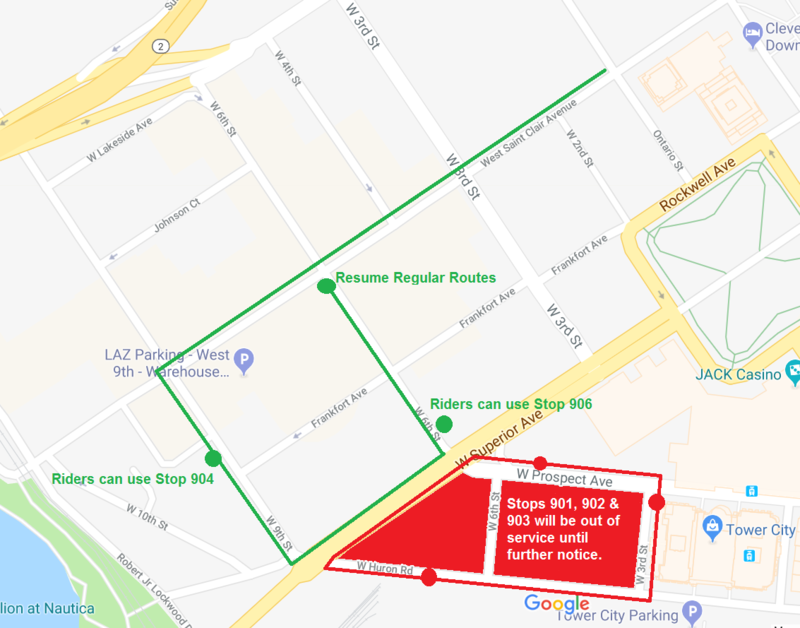 The loop’s hours of operation are Mondays through Thursdays from 7:30 a.m. to 10 p.m. with service every 10 minutes, and Fridays from 7:30 a.m. noon with service every 20 minutes. Campus Loop connects with Laketran Local Routes 1-6 at the Clocktower bus stop. Students can ride Local Routes free with a valid Lakeland Student ID anytime and anywhere. A Campus Loop flyer can be downloaded here.